Tuned to meet the demands of BMC Racing Team, these Assos race-tuned knee warmers are the ultimate go-to product for insulation without bulk. One of the least complicated yet most flexible pieces in the ASSOS wardrobe, the reworked kneeWarmer_evo7 is a must-have cycling warmer for spring/fall and summer. Based on feedback from BMC Racing Team’s top riders, these ASSOS knee warmers are 7 cm longer than the previous model to give added protection and comfort. Crafted to the highest ASSOS standards, these cycling essentials deploy the same performance-led textiles found in their winter riding jackets. RX Light is an elastic and extremely breathable fabric. DWR (Durable Water Repellency) treated for protection against wind and water. 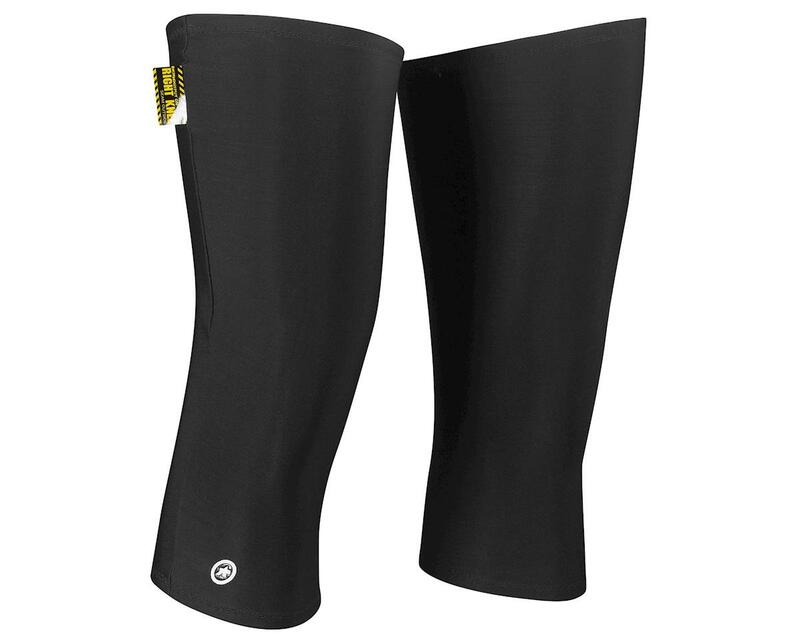 These knee warmers will keep you insulated and comfortable in cool weather riding conditions. RX Light fabric for warmth, breathability, and lightweight. Ergonomic fit, labeled to fit your left and right legs while in the riding position. Packable, small and lightweight, easy to stow in jersey pocket.